Register for an InterECM account today. Our no risk, no obligation trial offer let's you explore the marketing options you could soon have control over without purchase options for 30 days. InterECM's email mailer software offers you unlimited campaign creations and database uploads for an end-to-end demonstration of how easy it is to start campaigning in minutes! 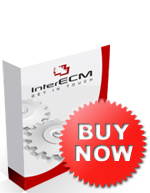 Upgrading to InterECM PRO is easy and well worth your time. Send as many direct communications to your target audience minus the limitations. Click here to take the next step towards fulfilling your every business venture today. Bulk Email Software Buy Myths?